Nestled behind Spit Junction and looking onto the lush Allan Border Oval, Fourth Village Providore is situated on a fantastic piece of real estate. 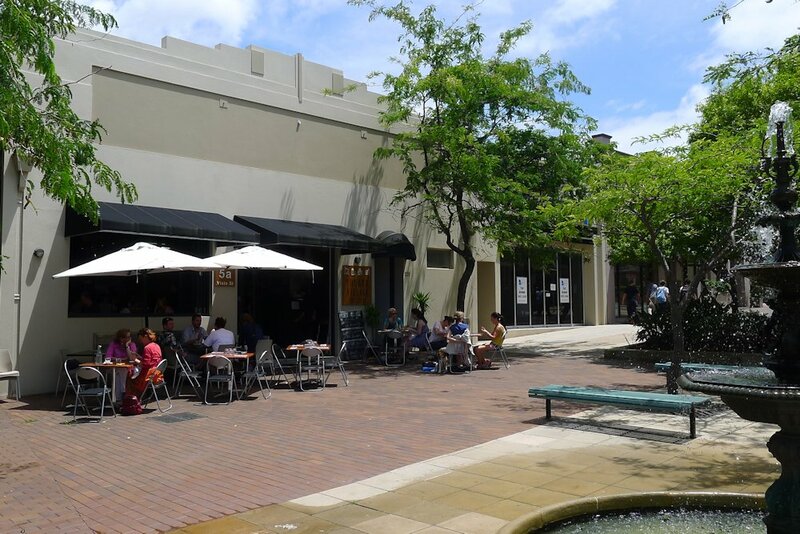 The establishment has two entrances: the Vista Street side offers the deli, grocer and fine food shop whereas the Myahgah Road entrance leads straight into the café and restaurant with plenty of parking nearby. Tables outside are limited but there is plenty of seating available within with the ability to join tables along the bench should you have a large group. All of the waitstaff we encountered were young Italian men and could be part of the reason so many tables consisted of female clientèle! Management (very politely I must add) requested that images of the inside of Fourth Village Providore not be taken or published yet was more than willing to discuss the restaurant and store. To see photos of the shop including products produced in-house or on the Fourth Village Estate farm and the temperature controlled cheese room, please visit their website. Note that the menu changes often depending on available produce (and chef Flavio Tosolini’s ideas) so there is a good chance that you may find different dishes on offer. The coffee is well priced and tasted great. 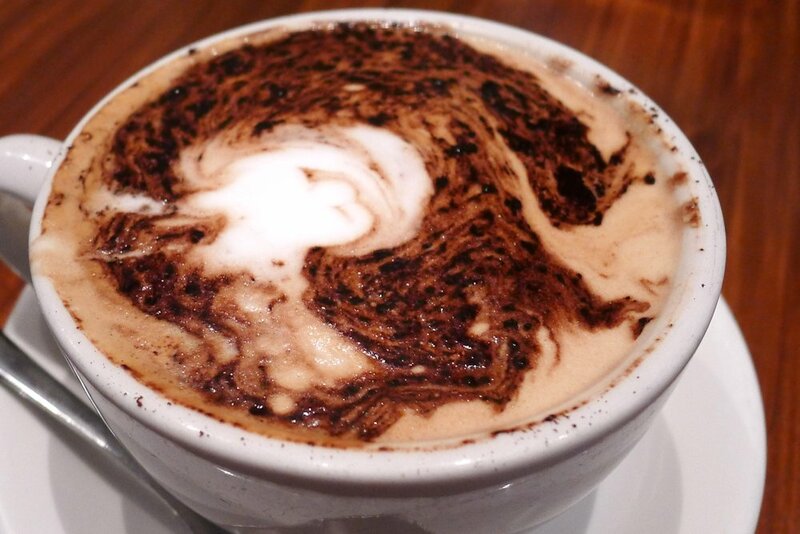 Our cappuccinos ($3.50) boasted a rich flavour and were light on the milk which let the beans’ flavour come through. Affogato (espresso and gelato, $6) will be something we try next time as FVP is locally renowned for their gelato. Mixed fruit frappes, smoothies (banana, mango or mixed berry) and gelato shakes (using any of the gelato flavours from the cabinet) are each well priced at $6. 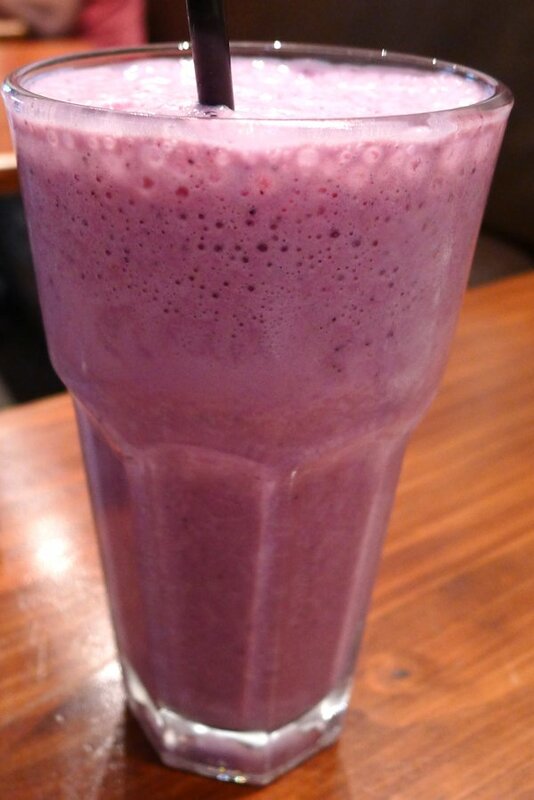 With the mango smoothie not available (suggesting a shortage of fresh mangos or the use of purée), I decided to try the mixed berry smoothie which was not as sweet or berry-flavoured as I had hoped. Freshly squeezed juice (orange, apple, pineapple or carrot) seems like better options next time. With a lot of the restaurant’s produce coming straight from its very own farm we expected to be impressed… and we were. The bruschetta ($16.50) relied on the purity of the ingredients including the Fourth Village Estate olive oil. The Kangaroo Island eggs had been poached perfectly and the parmesan was the reason we decided to venture into the cheese room to make some purchases. Beneath the bright red fresh tomato was a layer of smooth goats cheese. 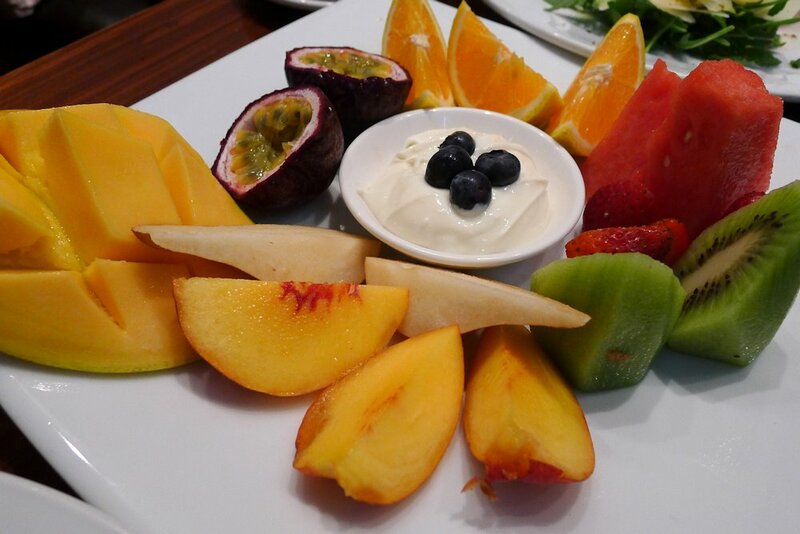 The fruit plate ($13.50) is hopefully something that remains on the menu at all times. A large serving of all the current fresh, well chosen fruits brought together with a thick and delicious vanilla yoghurt. Served elegantly and well priced, there is nothing to fault. Benedict with a twist. 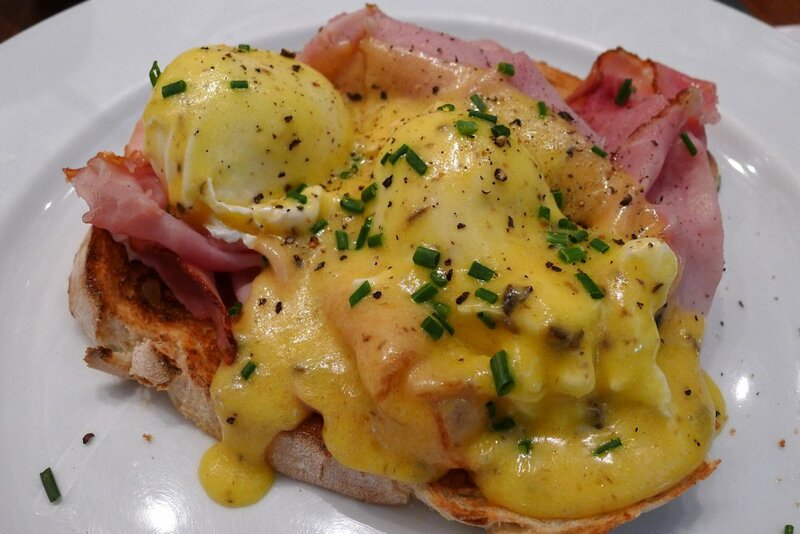 The Benedict eggs ($16) was generously covered with a truffle-infused hollandaise. If you are after some variety in your Benedict expeditions, try this one. Plenty of ham, tangy sauce and crunchy toast make this a winner but for the sake of trying some of the other dishes available we suggest you share with your guest. Other current dishes include ricotta pancakes (with orange, honey syrup, yoghurt and almond, $14), mushroom stack (fried mushrooms, potato rosti, caramelised tomatoes, spinach, ricotta and toast, $15.50) and fritters and smoked salmon (veggie and auricchio fritters, Tasmanian salmon, rocket, yoghurt, mint & mustard cream, $17.50). With such a well-sourced, wide ranging and professionally developed menu, you will find yourself indulging in many return visits to Fourth Village Providore. Outstanding pizzas are yet another reason. This is a must-visit for food lovers. 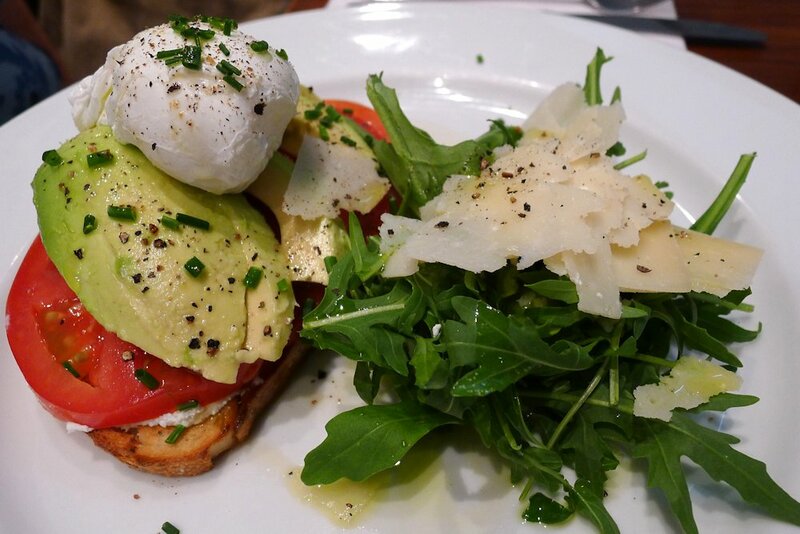 This entry was posted in Sydney - North Shore and tagged Dog friendly, Free range eggs, Fresh fruit and vegetable stores close by, Organic Options, Outdoor seating, Parking close by. Bookmark the permalink.